The haze is back in Singapore, once against transforming the sunny, cheerful island into Genting Highlands. The smell of BBQ fills the air, and many people have started coughing and experiencing symptoms such as sore throat and headaches. Now, besides taking the usual precautionary measures such as wearing masks and drinking more water, you can make use of technology to make your life a tad easier during this period of no blue skies. Here are the 5 apps and websites we think would be useful for you to survive this haze, because according to official sources, the haze will get worst before it gets better. This is the number one official source of all information related to the haze, provided by the authorities. Here, you can find the latest press information from our National Environment Agency (NEA) regarding the haze situation, the latest advisory, as well as detailed breakdown of 24-hour and three-hour readings of the haze situation around Singapore. How many of you have looked at the three-hour PSI reading given by NEA and doubted the official numbers, because the smog you saw before your eyes did not seem to agree with the numbers? There are numerous times when spot readings are important, such as when you want to decide if you can make that jog or if you need to head out with a mask. Realistic PSI Readings is a website which attempts to figure out a realistic, out-of-the-window PSI reading every hour. For those of you who don’t agree with NEA’s 3-hour PSI reporting methodology, the Realistic PSI Readings website might be your next best option. Power to the people! YAHI is a novel attempt that lets anyone contribute to mapping an air quality map across Singapore using low cost dust measurement devices. With the haze in full swing, you are recommended to stay indoors as much as possible. But, of course there are times when you have no choice but to head out. If you take public transport, minimise your waiting time at the bus stops as much as you can. 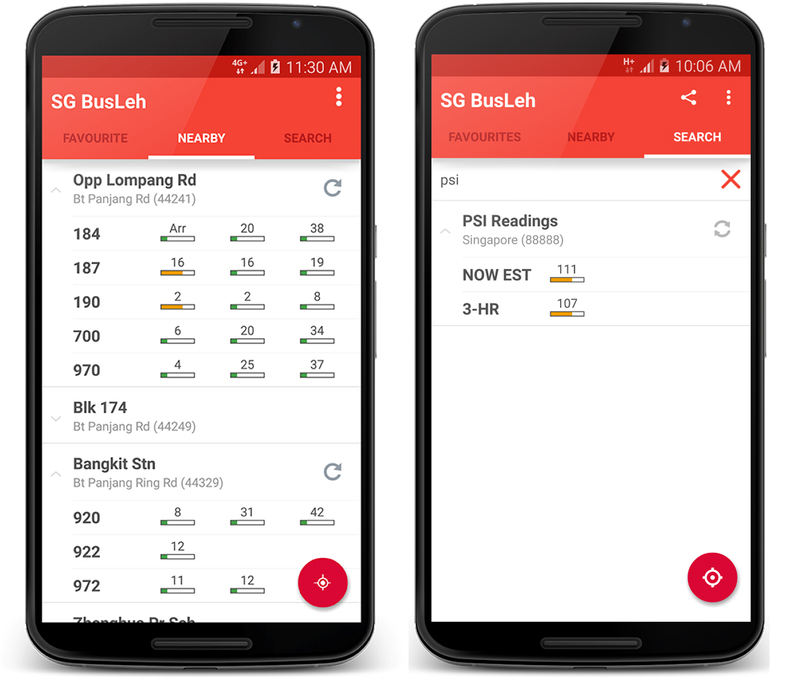 You can use bus apps to plan your journey, for instance SG BusLeh is the only bus app that provides up to three bus arrival timing, and even tell you where the next bus is. With this, you can hide in your office or home and head out to the bus stop only when you really need to. Currently, SG BusLeh even has a cool easter egg feature that shows you the current PSI level. If you can afford it, get a chauffeured comfortable drive via GrabTaxi and hide from the haze. Enough said. Do you have any other apps and websites to share? Comment below! The post 5 Apps and Websites You Need to Survive the Singapore Haze appeared first on Asia 361.